Mapping a process is an essential step at the beginning of a system implementation project. It ensures the right requirements are identified and delivered to the users and should drive the right business outcomes. But what else can you expect to get from this exercise? What are the additional benefits that can be derived from taking the time to map the process early on in the project? Recently we helped one of our partners identify and remove an additional 80 days of waste in a customer system implementation project. The business case had long been agreed, contracts signed and the project underway. And yet we were still able to identify further benefits for the end customer that may not have been recognised otherwise. 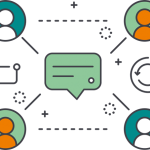 We work with system implementation partners in this way for two main reasons. For a successful system implementation you first need to provide a solution that adds value to the customer. A solution that really makes a difference to their business, otherwise their return on the investment is nil. Secondly, you need to help the customer adopt the new solution, that means they need to move from their old ways of working (and often old habits) to new ways of working with the new solution. In the case above the system being implemented was based on a standard process. There was little change required to the core workflow. However, there was a significant amount of configuration required and not all parts of the application would be used. It was important to understand what was required, what wasn’t and why. We ran a 2 hour process workshop with the core team of users and the business owner. There were 8 people in all and each would have a different level of interaction with the system. For example 3 members of the team would be using the system daily to track and communicate with their customers. In contrast the two managers would use the system mainly for reporting, roughly once a week. Using the Skore approach we quickly identified the key areas of work. Then we broke those down into more detail, capturing the steps they each performed. At the same time we used attachments against the activities to record documents, templates and other systems they used. As we mapped out the processes we also made a note of any challenges they faced on a day-to-day basis and additional requirements. In one example they identified a compliance requirement that had to be tracked. This was never part of the original business case but could be easily added to the system and was a significant improvement on their current ways of working. Finally we made a note of how long each activity took and how often they did it each day. This was very interesting because during the workshop the durations ranged from 5 seconds to an hour per activity. Once these were multiplied up by the number of times each activity happened per day it was a significant amount of time. With this information, and back at the office, the solution team could then look at how the system laid over the existing business processes. We quickly sketched out a configuration for the compliance requirement and defined which modules needed to be configured and how. Next we looked at which activities would be automated by the new system. Based on the information gathered in the workshop it was here that we identified an additional 80 days of savings on top of what they had already agreed! 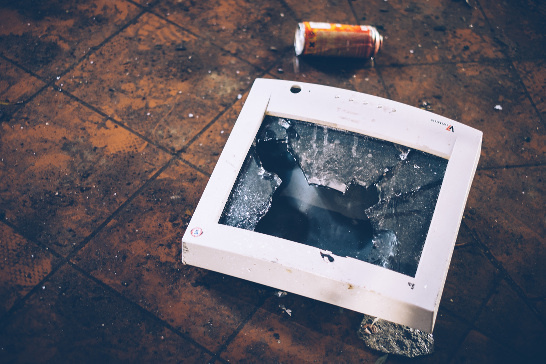 Of course the real reason we were there in the first place, and supporting our partner, was to do something that all too often gets forgotten about in system implementations. This partner had previously complained about how customers would waste hours of training arguing about how stuff was done. When the system was implemented team members would complain it didn’t fit in with ‘how they did stuff’. Our solution was to ensure the end customer was clear on their current ways of working BEFORE the implementation. This was achieved through the workshop described to understand the requirements. Everyone sat together and had their chance to dispute the process and amend it accordingly. At the end of the workshop they all agreed on the process and it was shared with them online, in Skore app. In the days following the workshop they made a number of minor tweaks. Now they had a baseline that they all agreed on. Moving to the new system was then a case of remapping the process according to the new solution. Then we identified the differences between the two processes and these became the focus of the training. At the beginning of the training the process was used to realign the team and demonstrate how things would change. Once implemented and trained the processes were made available to the team for reference. Questions about how something worked could first be asked of the process before a call was made for support. 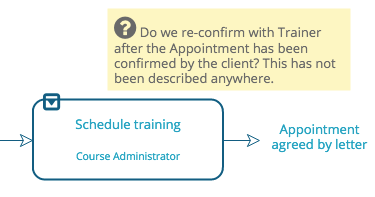 When a support call was made the support team would use the same process as the user to identify where the issue occurred and to explain the solution. Skore app’s simple approach and process framework makes it possible for anyone to read and understand the process. The processes are delivered through an interactive online portal and users can leave feedback and improvement suggestions at any time. This is how you effectively capture requirements, delight users, align the team and save 80 days of waste in your next project! And all of this was achieved in a single 2 hour workshop! 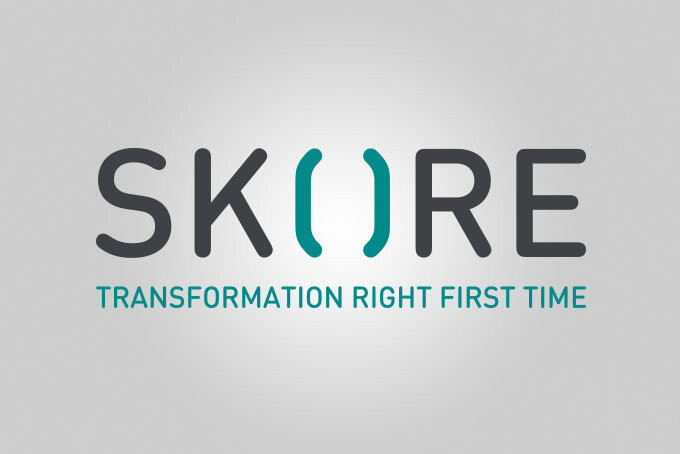 Contact us to learn more about how Skore app can accelerate your next system implementation.